The Las Vegas Weekly interviewed Dancing With The Stars pro Lacey Schwimmer about the Vegas Show and why people should go see it. She also chatted about why she didn’t do Dancing With The Stars Season 14 and if she would do the All-star edition coming up. Here is a take with more. To read the full article, visit the Las Vegas Weekly. Would you consider another season of DWTS? I would definitely consider another season. There’s all this talk about an all-stars season and bringing people back. I think it’s a phenomenal idea, and I would totally, totally do it. In your DWTS career, who’s been the most fun person to work with? You know, the little Disney kid that I have right now in Vegas with me, he’s like my little brother. He’s only three years younger than me, but he’s just a doll to work with, and he’s so much fun to have around. He’s always positive, he’s always happy and he’s just awesome. His name’s Kyle Massey and he’s just the cutest thing you’ve ever seen. Who’s been your most difficult DWTS partner thus far? I get, you know, the partners that are very hard to place … the cases like the Steve-Os, who are not quite concentrated on dancing. But I’m really patient, and I can make anybody dance, pretty much. I don’t look at it as a difficult situation; I look at it as a growing and learning experience. So, what do you think of Lacey coming back for the All-star edition and which partner would you want her paired with again? I’d love to see a return of Kyle Massey. I loved Chaz Bono too and maybe that’s why he’s been taking lessons and working out with it still? Picture above from Zimbio Pictures. Chaz Bono has been attending the shows this season. He loves Dancing With The Stars. He does some reflecting and predicts who he thinks will win this season as well. I miss Chaz. I’m so glad he danced last season. 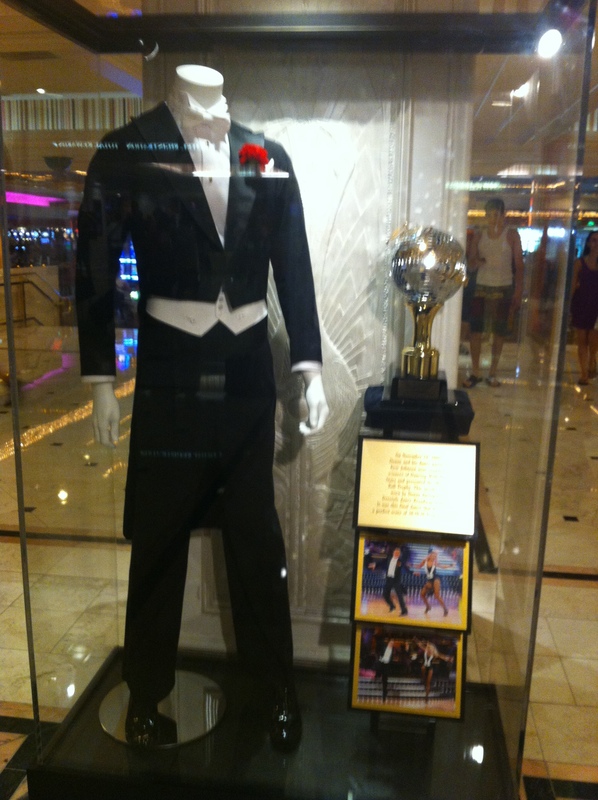 It’s so cool how he hasn’t stopped dancing….